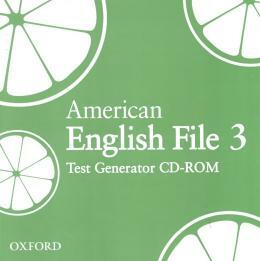 American English File gets students talking thanks to its unique and proven formula. Authentic texts use humor to encourage speaking in class. Strong grammar, vocabulary, and pronunciation syllabus with practice in all four skills. Illustrated Vocabulary Bank, Grammar Bank, and Sound Bank plus regular review pages. Multimedia components, including Multi-ROM, Video, and Website, carefully integrated with the Student Book and Workbook, help students practice English outside the classroom.